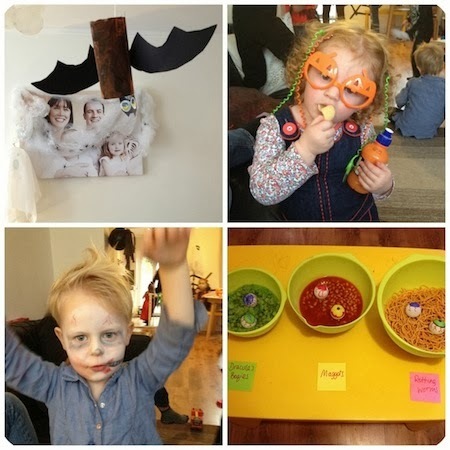 I ♥ Motherhood: Our Spooky Halloween Party! This weekend we had a Halloween party. 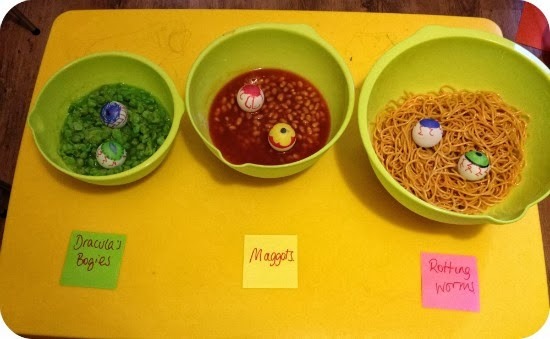 I know it's early, but the kids didn't know any different. Except they do now, as I kept telling them, it's not ACTUALLY Halloween yet but we're just having a party. So now they realise it's still not Halloween and we have to keep all our spooky decorations up for another 10 days! Hmmm. 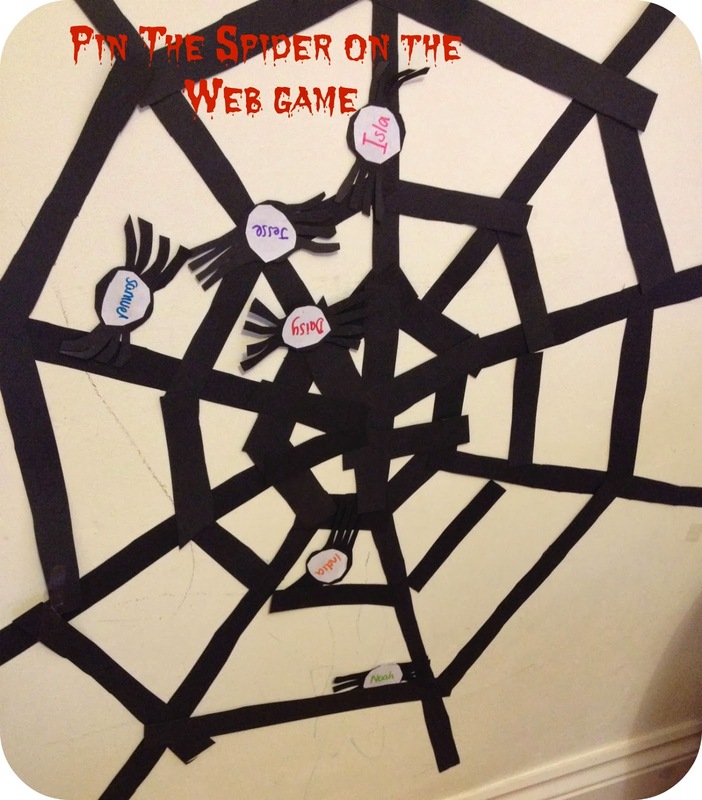 I also got very carried away with the production of bats, ghosts, spiders and webs and the kids loved helping. 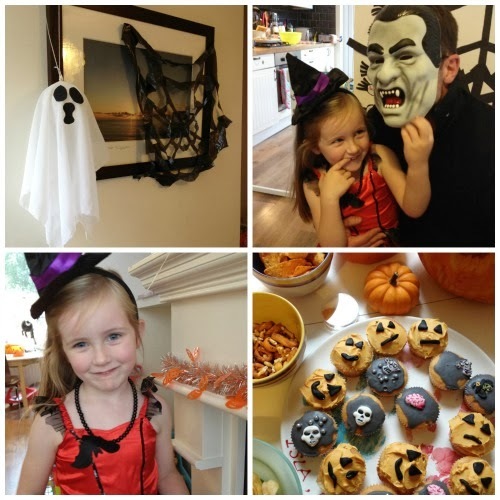 So here's our Halloween party in photos. We invited a couple of friends and their kids and they had a blast! 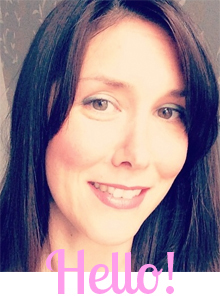 Awww, looks fab Sharon. I love the Spider on the web game. WOW! How cute those muffins are. I really like the theme for kids party. It is really very interesting to arrange a kids party with proper theme. 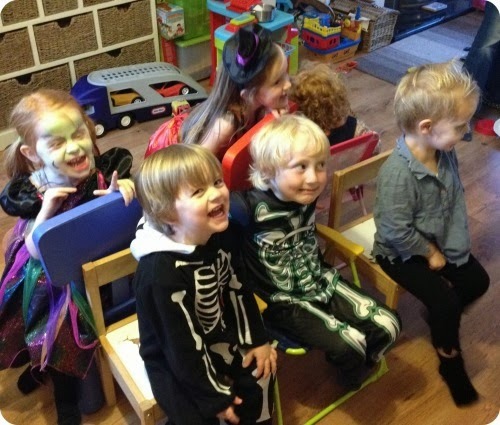 Last month, I arranged a party for my kids at my home. 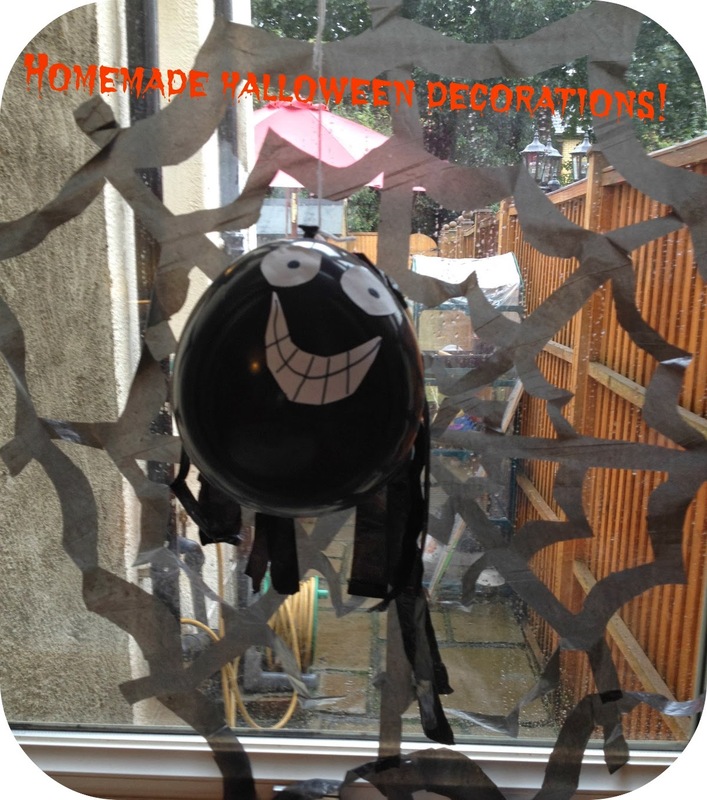 It was fun to decorate the whole house with jungle theme and cartoon characters. Arranging the party with proper theme can actually enlarge the party fun and entertainment.